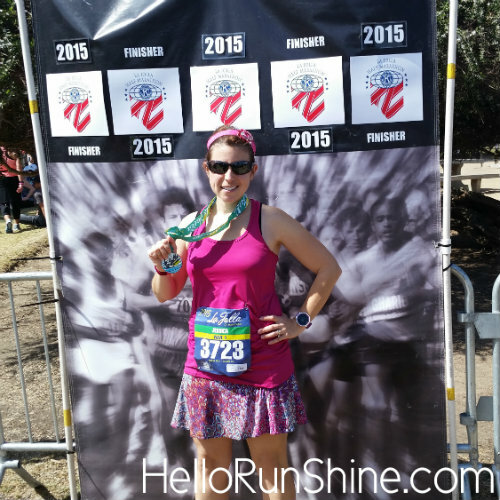 Back from a blogging hiatus and ready to wrap-up my spring race recaps! 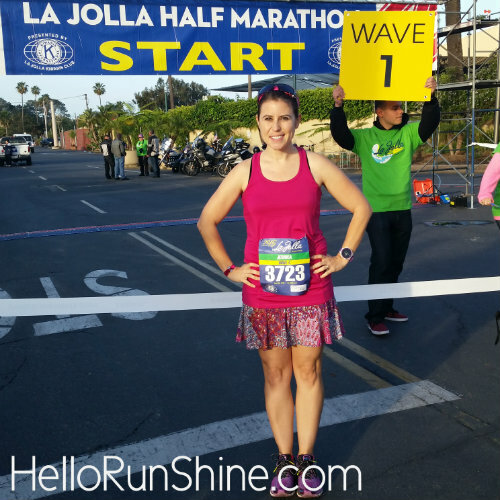 It’s hard to believe that the La Jolla Half Marathon already happened four months ago. Looking back at the pictures I don’t even look pregnant! 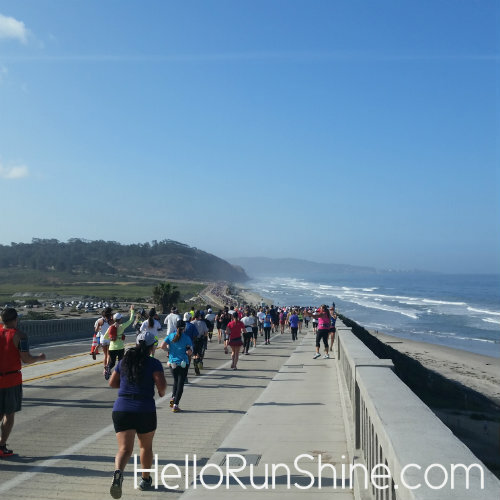 Part of the San Diego Triple Crown half marathon race series, La Jolla boasts beautiful scenery, a few epic hills, and a great North County vibe. The race starts at Del Mar (I decided to go EARLY and park at the start, best decision I could have made) and ends in La Jolla Cove at the Ellen Browning Scripps Park. I had so much fun meeting up with some Moms RUN This Town Mamas before the race! *Memories! So many great memories are wrapped up in that course for me. From hiking in the Torrey Pines State Reserve, visiting my husband while he was a grad student at the Scripps Institution of Oceanography, learning to surf at La Jolla Shores, and living nearby the Cove while I was in college, each mile I ran held something dear to my heart. *Scenery. It’s hard to beat any race with ocean views! *Finish line festival. This was one of my favorite race finishes. Sitting on the grass listening to live music with an icy chocolate milk and a beautiful new medal sure felt joyful, especially having successfully completed the race 12 weeks pregnant! The only downside of the whole experience was that this was the first race I’ve run that included a free beer at the finish (a San Diego microbrew, no less!) and I wasn’t able to indulge, ha. No worries, I’ll be back next year La Jolla to improve my time and drink my beer! 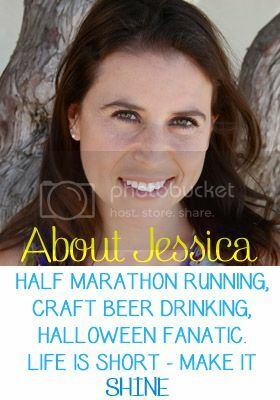 Categories: Race Recaps, Running | Tags: La Jolla Half Marathon, Race Recap, running | Permalink. 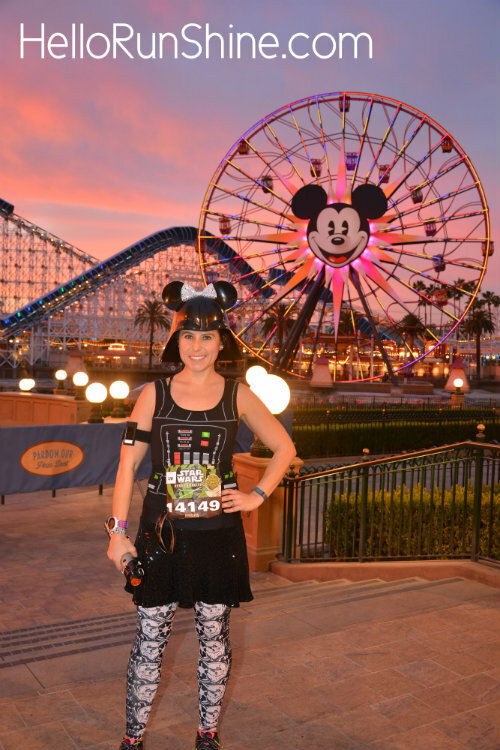 For a runDisney veteran, submitting your proof of time (POT) is not only a piece of cake but something you greatly look forward to. But the process can be a bit overwhelming if you have never done it before. 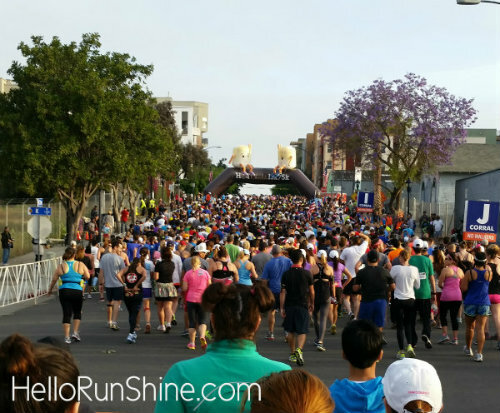 RunShine is here to guide you through it with these helpful tips! -The deadline for submitting your proof of time is Thursday, October 6th. You must submit your time before this date to avoid being placed in the last corrals! 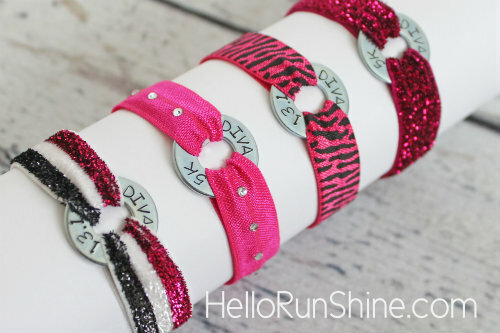 -For the Half Marathon, the proof of time MUST be from a 10K, 12K, 15K, 10 Mile, Half Marathon or Full Marathon. -For the Full Marathon/Goofy/Dopey Challenges, the proof of time MUST be from a 10 Mile, Half Marathon or Full Marathon. -The proof of time must be from a certified race after January 1, 2014 (certified meaning that the race course was certified for accuracy). -You will be asked to proved the following information when you submit: Name of race, distance, city, state, date, finish time, and link to results. -You are able to update your POT with a new one as long as it is submitted before the deadline of 10/6. So if you set a new PR after you have entered your first POT, go ahead and enter it again using the same link provided above! Please feel free to ask if you have any questions! 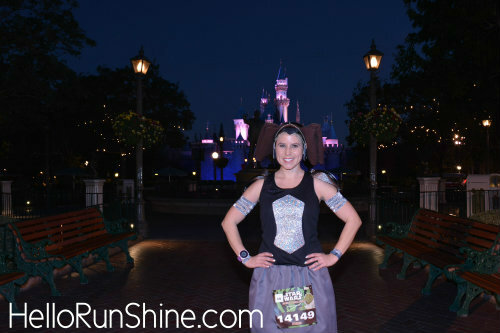 Categories: runDisney, Running | Tags: Proof Of Time, runDisney Tips & Tricks, Walt Disney World Marathon Weekend | Permalink. I ultimately chose this odd-distance race because I had heard so great things about the Hot Chocolate 15K from friends in Colorado. And although a warm March morning in San Diego doesn’t quite match the theme as well as crisp fall day in Denver, I still had a blast at this race. I was so proud of myself for driving solo downtown two days in a row for the expo and the race itself. In the past, for whatever reason (mostly the fear of parking garages and parallel parking) I may have turned down the opportunity. I really enjoyed the well-run expo and got a glimpse of what RunShine might be participating in at the same time next year… more on that later! Sure, it was hillier than I expected, but it’s hard to beat running through America’s finest city. I also loved the start/finish at Petco Park. Originally I planned to skip the on course chocolate stops (I believe there were a total of four) but as I summited the first monster hill and viewed the offering of chocolate marshmallows, I decided to try them all. The hilly San Diego course was challenging but not too difficult. I loved the chocolate marshmallow fuel stop! The medal was brand-new for this year, and it’s clear that the race organizers did their research on what attracts runners to a race. The big, flashy, city-specific design certainly caught everyone’s attention and will probably remain one of my favorite designs. The giant chocolate fondu mugs filled to the brim with dipping pieces (banana, pretzels, Rice Krispy treats, etc.) and cup of drinking chocolate were pretty amazing as well. By the time we finished the race it was almost 70 degrees. That combined with the fact that I’m not really a sweets person allowed me to get through a quarter of my treats before I called it a day. A true chocoholic would have been in paradise! Post-race treats. As a lover of organization, I can really appreciate the great system the Hot Chocolate Race has for handing these out. Overall it was a very fun, very well organized event. I love the fact that the 5K started early enough that it was possible to finish and still run the longer race. I will try to be back next year with the entire family to run the 5K and take on those hills again for the 15K. All smiles at the adorable finisher photo op. See you next year Hot Chocolate! 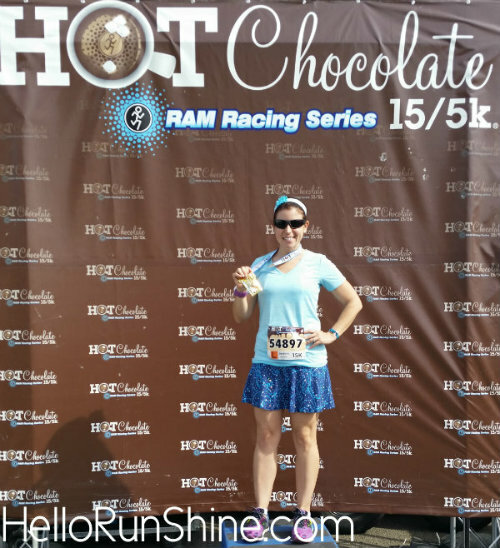 Categories: Race Recaps, Running | Tags: Hot Chocolate 15K, Race Recap, San Diego | Permalink. Hands down, the Star Wars Rebel Challenge event was one of the best things I have ever done. Every moment felt like a magical vacation and I may have had to choke back tears when I returned to reality Sunday night. My running buddy and I left bright and early on Thursday morning to check in to the Grand Californian before the expo started. This hotel is breathtaking – if you’ve never peeked inside, do yourself a favor and do just that the next time you walk by. Although I didn’t mind the 20 minute walk to Downtown Disney when we stayed off property for Avengers, it was probably because I wasn’t able to compare it to the experience of stepping out of your hotel and being right there. Amazing. On the drive up I started reading posts from friends who had been standing in line for the expo as early as 6 am! We walked over just as it was starting at 10. I was very happy with the organization and speed of packet and pre-order merchandise pickup. We collected our haul, had our pictures taken for the Rebel Challenge verification, and headed upstairs. The wait for the official runDisney merchandise area at this point was an hour and a half, but here is where I was most impressed. We were immediately given a wristband and brought upstairs to a ballroom to wait. There were organized lines mapped out on the floor with masking tape so we were able to sit and rest our legs. 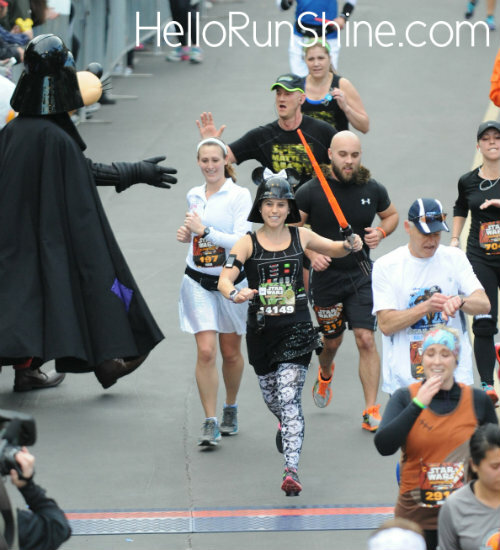 Between watching Star Wars movies on the big projection screen, talking to other runners around us, and pouring over our packets and pre-registration goodies, the time passed quickly. When it was our turn we were walked to the official merchandise area and had our wristbands removed. Inside was crowded but not unmanageable. There was plenty of merchandise at that point (although it went quickly that day) and we only waited a minute to pay at one of the 30 or so cash registers that I counted. I am a very patient person, as long as the wait is calm and organized. Cheers to runDisney and everyone who helped make this a great experience as opposed to some of the horror stories I have heard about past expo chaos! Of course the other side of the expo didn’t disappoint and we spent another hour or so shopping and talking to vendors. 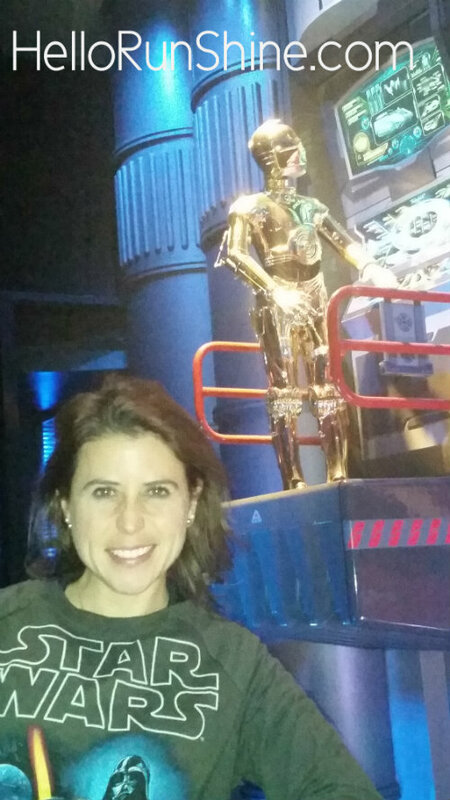 I forgot to take an expo photo, so here’s my favorite from Star Tours! We had the rest of the afternoon to leisurely take in the sights and eat before getting ready for the Wookie Welcome party. For some reason I started to doubt my Darth Vader bounding outfit at the last minute and changed, but I wish I hadn’t because there were people of all ages in full costume waiting in line. The welcome party went from 10-12, and with no prior experience with a pasta in the park or a similar after hours party I didn’t know what to expect at all. What shocked me the most was that immediately upon entering the lines were very long – not for the food (a small but delicious selection of desserts and non-alcoholic beverages) or the rides (the party took place in Tomorrowland and just about everything there was open), but for character pictures! My running buddy and I must be in a minority here, because pictures with characters just aren’t high on our priority list. Instead we took full advantage of literally no wait times and alternated between Space Mountain, Star Tours, and Astro Blasters. After the third round on Space Mountain we stopped for food and to watch the almost empty dance party. Over the course of the weekend I heard a lot of complaints about the Wookie Welcome Party, primarily that people waited two hours in line to get one character picture. Well, I guess it all comes down to preferences and priorities because we had an absolute blast. Friday morning was the 5K which we did not participate in. Originally I thought I would regret this decision, but it ended up being just perfect since we were able to stay up late at the welcome party, have a nightcap on the balcony, sleep in, and enjoy a very lazy day. I’m guessing I will stick to this plan of skipping the 5K for future runDisney races (with the exception of Dopey someday, of course). If I had an Annual Pass I probably would have dropped in to the parks for a ride or two but I am waiting until next year to purchase one. The 10K on Saturday was my first race of that distance. I know many people love races at Disneyland for the ability to sleep in and walk to the corrals late, but I have no problem getting up early and I wanted to be up towards the front. I really went all out with my Padme costume and I was thrilled with how it turned out. 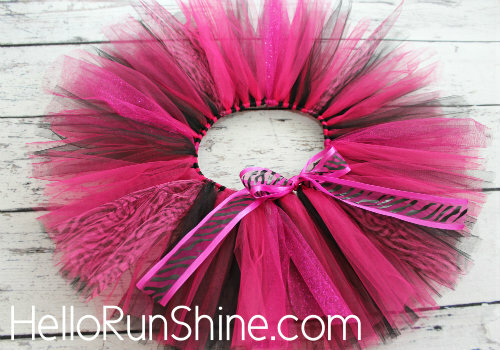 I know that I spent more time beading the headpiece than most runners spend picking out their entire outfit, but it was so worth it. Originally the plan was to meet up with a few other Padmes from my running costume group for a picture but we were all thrown off by the location of the start. After completing two Disneyland races I now know my way around pretty well and would not make that mistake again. 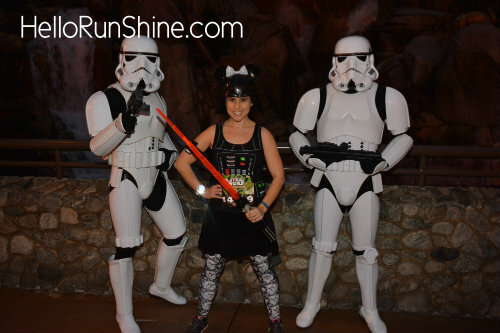 If running through the parks is your top reason for running Disney the Star War 10K is the perfect race for you. Just over four miles are inside Disneyland and California adventure. I didn’t take headphones because I wanted to soak up every sight and sound (I especially loved the purple lights and Darth Vader soundtrack in the underpass and the morning sun hitting the “cliffs” in Cars Land). Unfortunately my only bad moment of the entire weekend did happen during the 10K. I had made the decision that I would try and stop for one character photo after feeling confident from Avengers that they would cut off the lines if they felt the wait would put you too close to the 16 min pacers. When I saw Darth Vader I knew that was my one stop. The Cast Members told us that the wait was about 30 minutes (crazy, right? ), and although we wouldn’t be able to stop for additional pictures we should be fine. As I waited I watched dozens of other people get in line behind me and figured they would all be safe too. Thirty some minutes and a few people left until Darth Vader bike pacers appeared and warned us that we were behind pace! I was stunned for a second and distinctly remember thinking I was capable of a sub-two half yet here I was about to be swept at a Disney race. I didn’t think twice. I booked it out of there so fast, practically sprinting out of the park and past the fabled balloon ladies (hopefully the only time I’ll ever see them) until I was safe. This experience on its own wouldn’t have been too bad, except that while I was waiting in line I realized that the woman behind me was a corral cheater with an A bib. I won’t go in to details here about that or how I figured that out (please feel free to message me if you would like to know more), but for someone like me who can’t cut a line to join a friend without feeling terrible it really put a bad taste in my mouth. Between all that craziness and walking out of the finish area only to realize that my medal was badly damaged I needed a moment to regroup and regain some Disney magic. Just keep smiling, you’re in Disney! I let myself be annoyed for exactly one minute before letting it all go. I was so incredibly lucky and grateful to be there in the first place and I wasn’t about to let anything change that. I wish more people would take that approach before immediately broadcasting their displeasure on social media. Oh, and runner relations replaced my medal later that afternoon without any issue. If you ever have problems during a race weekend do not hesitate to seek them out. Saturday afternoon was a mix of activity (switching our room back to the off-property Castle Inn & Suites since we couldn’t get a reservation for the last night at the Grand Californian) and relaxation (beer flight tastings at the UVA Bar in Downtown Disney, my favorite). We decided to keep our pre-half dinner tradition at Ralph Brennan’s Jazz Kitchen and go to bed early at 8:00. Contrary to Avengers the weather for the Star Wars half was cloudy, cool, and calm. Like the 10K the day before there was an increased amount of time inside the parks. Highlights included multiple Storm Trooper sightings, stopping by the big waterfall in California Adventure for pictures, and getting to run down Main Street in Disneyland while it was still somewhat dark outside. By the time we hit the streets of Anaheim around mile six the crowds were out in full force. Marching bands, cheerleaders, people sitting outside their houses in bathrobes, and the incredible 501st Legion lined most of the course. Here’s a great tip if you are running Star Wars from a lower corral and are worried about your time: save your “character pics” for outside the park and the outstanding cosplayers who are more than happy to pose with you. I actually didn’t stop for any pictures at this point because I was hurting a little bit and ready to be done. I was all smiles at the finish line though and happy to be able to experience the full post-race party (it was cut short at Avengers due to high winds). 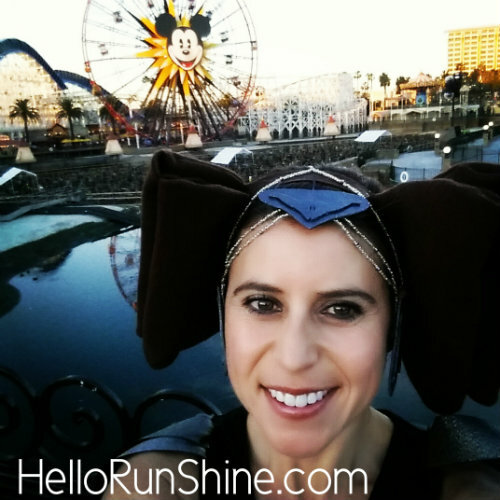 Categories: Race Recaps, Running | Tags: Disneyland, runDisney, Star Wars Half Marathon Weekend, Star Wars Rebel Challenge | Permalink. Hello lovlies! It’s been a long time since I posted an update of any kind. The last few months have been filled to the brim with holidays, races, and orders. 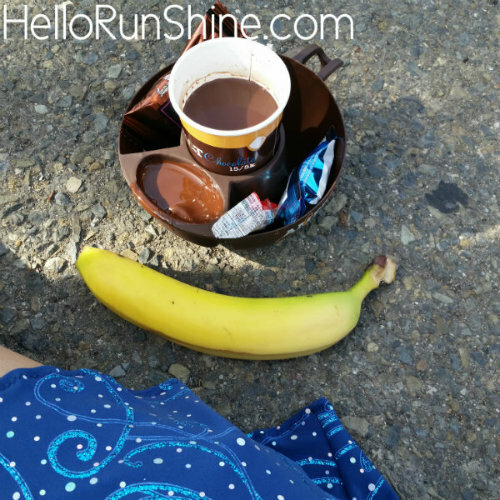 I have a lot to share and I’m so excited where RunShine is headed! 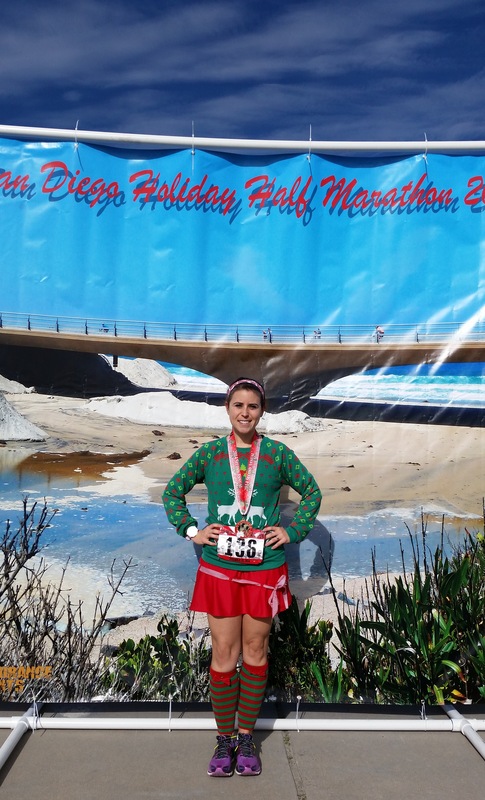 Before I get ahead of myself though I’d like to recap my last two races, starting with the San Diego Holiday Half. I know someday I will be happy I spent the time to record some of these awesome memories. 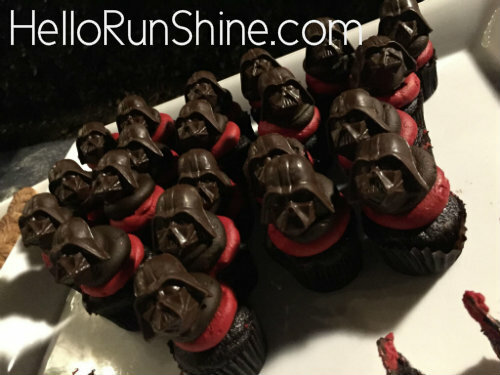 I had all intentions of treating this race as a light training run in preparation for the upcoming Star Wars Half Marathon. 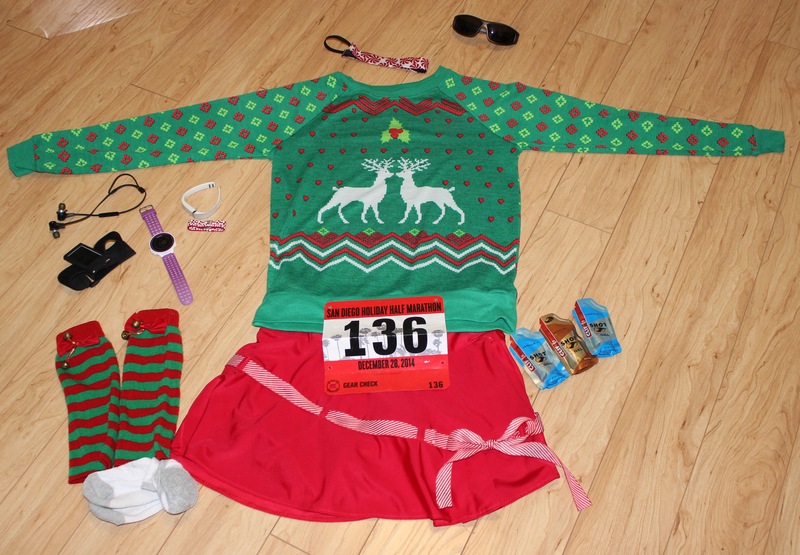 So I came dressed in my holiday racing best, including a tech gear ugly Christmas sweater that ironically got me a lot of “how cute!” compliments. Good thing I wore the sweater because the morning was chilly, super chilly. I think it was 29 degrees outside at the starting line (I know, I know, if you’re from just about anywhere else you are probably rolling your eyes, but for here that was freezing). As I lined up I found myself standing next to the 2:00 pacer. Here’s my confession: between my last half (Avengers in November) and this race, I had barely trained. Just a few sporadic short runs. Overindulging in holiday food and drink had taken a toll on my overall fitness, and I was generally exhausted from three months of nonstop activity. I had no business of even thinking about it, but as I looked at that pace sign, I thought, “why not”? The course was FAST. We started 13.1 miles inland and ended at the coast, with a straight, slightly downhill path almost the entire way. I honestly don’t remember much about the race because I was so focused on that 2:00 pacer. Around mile six, just when I thought I was done for, the 1:50 pacer and a small group blew past! No wonder it felt like we were sprinting for the first half. After that I was able to slow my pace considerably and for the first time I pictured myself crossing the finish line with a sub-two PR. I admit I was hurting pretty bad by the end with a leg pain I had never experienced before, and I spent the last mile pleading with myself “just make it to that lamppost, just make it to that tree”. Pain gave way to pure joy when I crossed that line at 1:57:31. I could not believe it! I thought that a sub-two half would be a goal I’d work towards over the next few years. The elation carried me through the long wait for post-race refreshments, the long wait for my race t-shirt and goodie bag (I opted to have my bib mailed to me, and these things did not accompany it), and the loooong wait to be bussed back to the start. By the time I got off the bus and walked the half mile back to my car, I was limping and had a visible bruise at the site of my leg pain(I still have no idea what that was all about). It didn’t matter though, I’ve never been happier. Not only did I have a proof of time that would place me in the front corrals at Disney races for the next two years, I finally realized that with proper training I have the potential to be even faster. With dream conditions to set PRs, great race medals and race shirts, and a perfect amount of runners (approximately 2,500), I highly recommend the San Diego Holiday Half to anybody. I can’t wait to sign up for this one again! 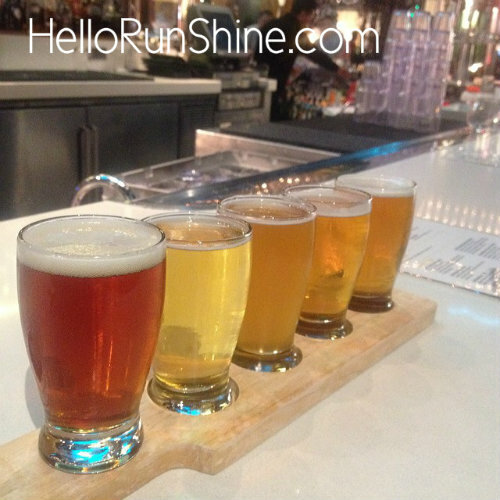 Categories: Holidays, Running | Tags: holiday, PR, Race Recap, running, San Diego, San Diego Holiday Half Marathon | Permalink.